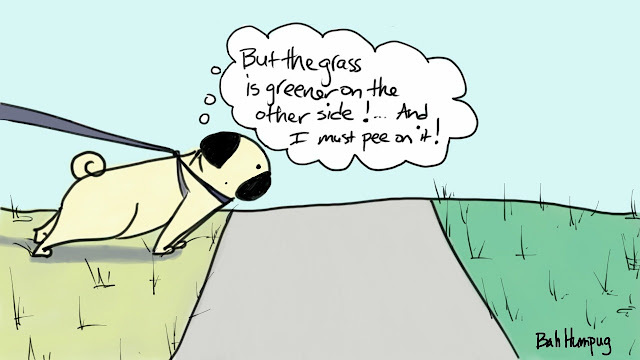 Sometimes the grass really is greener on the other side. And it just needs some pug pee on it to kill the grass and turn it yellow. I am having fun with the sketchbook app again. In some ways it's easier than doing it on paper but in other ways it's harder and takes longer.